A joint venture of Arihant Unitech and PVP Global, Arihant North Town is a new residential launch in Perambur, North Chennai. The project offers smartly designed and spacious 1, 2, 3 BHK apartments at great prices. The location is well connected to the important city locations. Sprawled across a whopping 70 acres of land, Arihant North Town assures of the best of location advantages. 1 BHK Apartment 650 sq. 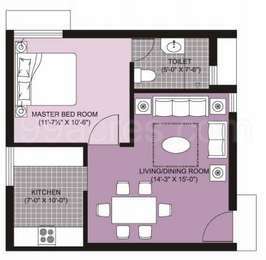 ft.
2 BHK Apartment 1016 1140 sq. 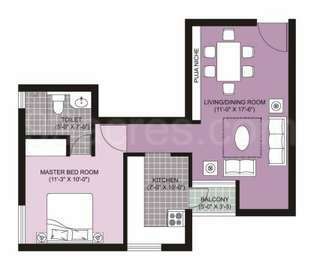 ft.
3 BHK Apartment 1310 1396 sq. ft.
For more details scroll down the page to see the 2D/3D plans. Arihant North Town offers basic specifications such as lifts, 24/7 water supply, firefighting systems, car parking, gymnasium, club house, children's play area, escalators, video door security, water softener plant, WiFi connectivity, billiards, pool table, temple, swimming pool, table tennis, rain water harvesting units and sewage treatment plants, among others. Perambur is among the early settlements of Chennai and is believed to be a good locality to live in North Chennai. The locality is a perfect blend of residential as well as commercial segments, and assures of great connectivity to surrounding places like Egmore. Perambur assures of great connectivity to the rest of city via railways, and is home to three railway stations namely Perambur, Perambur Carriage Works and Perambur Loco Works. Perambur sits is 22 km away from Chennai International Airport, and is connected via National Highway 45. North Chennai is home to a number of localities like Madhavaram, Ayanavaram, Perambur, Kolathur, Tondiarpet, among others, which have attracted a number of homebuyers owing to the location advantages and great connectivity they offer. A developing social fabric, improving infrastructure, and availability of properties at comparatively lower rates have played an important role in determining the fate of this areas realty. What is the location of Arihant North Town?The location of the project is Perambur, Chennai North. What apartment sizes are available in Arihant North Town? The project offers apartments sized between 622.0 sqft and 1396.0 sqft. What is total area of 1 bhk in Arihant North Town? 1 BHK unit in the project are available in an area of 622.0 sqft to 878.0 sqft. 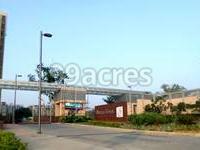 How much is area of 2bhk in Arihant North Town? Two-room units (2BHK) in the project are available in an area of 900.0 sqft to 1140.0 sqft. What is the 3 bedroom size in Arihant North Town? The area of 3BHK units in the project varies from 1310.0 sqft to 1396.0 sqft. What is the area of Arihant North Town?The total area that the project occupies is 70.0 Acres. ment consultancy and facility management of large and medium size real estate projects.